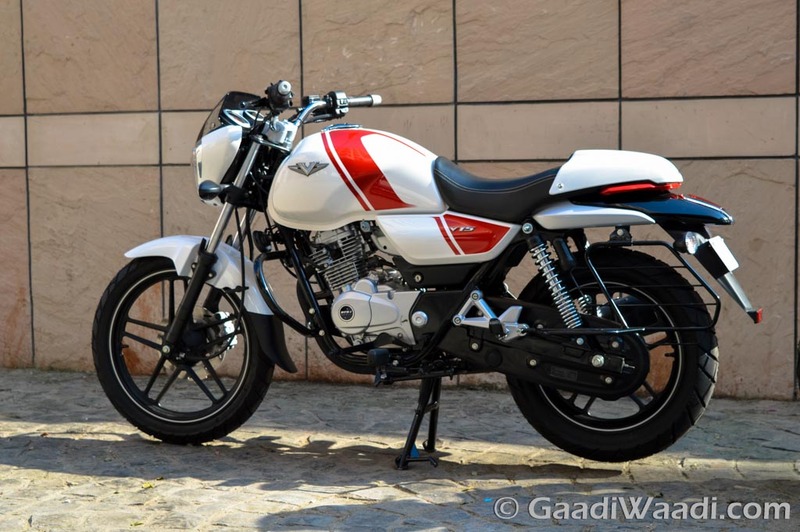 Bajaj V15 has already established itself as a pretty successful bike in India. Built with the metal from India’s iconic aircraft carrier INS Vikrant, the bike comes with an impressive and unique design. The part café racer, part cruiser has already sold 1 lakh units in just 4 months since its launch. This means the bike has sold 25000 units every month on an average. Earlier in April Bajaj V15 entered the top 10 best selling bike list. It has helped the Bajaj Auto to capture 10% share in the premium 125 cc commuter bike segment. 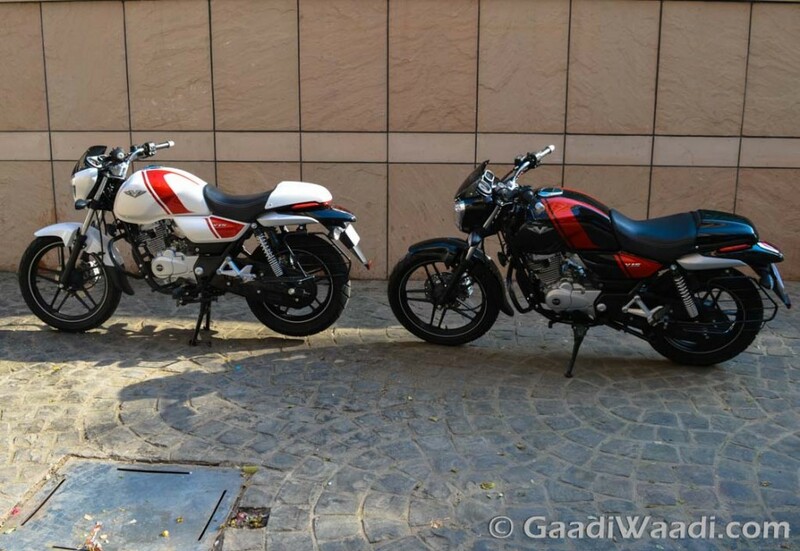 Just after the launch, the Bajaj received more than 20000 bookings for the V15. Now with the impressive sales record the company is planning to ramp up the production of the bike from September onwards. Bajaj V15 is powered by a 149.5 c ingle cylinder four stroke SOHC 2 valve air cooled DTS-I engine which churns out 12 bhp of peak power at 7500 rpm and 13 Nm of peak torque at 5500 rpm. On the suspension front the front gets telescopic forks, while the rear sports twin spring loaded hydraulic-type, gas charged suspension. The front wheel gets 230 mm disc and the rear gets 130 mm disc doing the braking duty. It also offers around 55 kmpl of fuel economy. Dimensionally the bike measures 2044 mm in length, 780 mm in width, 1070 mm in height and 165 mm of ground clearance. The wheelbase stands at 1315 mm. The bike gets a 13 litre fuel tank, which comes built with metal from INS Vikrant and dons a Vikrant badge as well. The bike also sports a sporty stance, and the LED tail lamp features an unique design, which grabs attention. Talking about the success of the Bajaj V15, Mr. Eric Vas, President (Motorcycle Sales), Bajaj Auto Ltd, has said, Bajaj V15’s unique appeal lies in the metal it carries from the INS Vikrant. He believes, the piece of history part has played a crucial role behind the success of the bike in India. 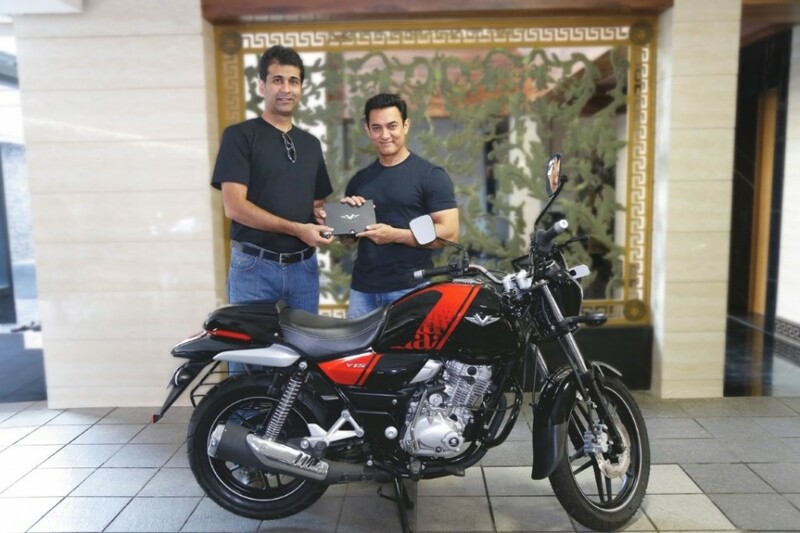 Even famous actor Amir Khan was so impressed by the unique bike; he bought a V15 for himself.